Pillar to Post: TRAVEL / WHAT THE HECK IS A REPOSITION CRUISE? INDUSTRY INSIDER--What is a Repositioning Cruise, what are the repositioning cruises as destinations, prices, lines and ships. Why and when to take a relocation cruise, what are the main benefits and disadvantages, what are the best or cheapest routes. Which of all the lines sail to your continent, country or city – and when. Definition: a Repositioning (Relocation) Cruise is always an one-way cruise ship itinerary between different embarkation and disembarkation ports since cruise ships often change their sailing areas. Why to take a relocation cruise? Most affordable to cheap rates on both mainstream and luxury cruise ships when they relocate in Spring and Fall each year. 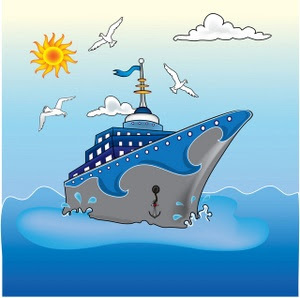 Low priced cruise offers, since cruise relocation itineraries are almost always scheduled in low season. Passenger cruise ships that sail during the hot summer in Alaska relocate in Fall to Caribbean Sea through the Panama Canal, or to Hawaii and then to Australia or Asia for the winter season. Cruise ships from Northern Europe sail to the Mediterranean Sea or cross the Atlantic Ocean to operate round-trip cruise itineraries from USA (Florida or New York mostly) or to Caribbean for round-trips from Barbados or Puerto Rico. Cruise ships relocate from South America to Florida (for Caribbean) or Transatlantic to Europe (Baltic or/and Mediterranean) in early Spring. The lower price is the most important factor for the popularity of all relocation cruises. The average cost of a repositioning cruise is up to 50 percent less compared to a typical round-trip sailing from the same port. And the best index is the price Per Person Per Day – it could be as low as US $40! All relocation cruises offer entertainment and dining options on board your ship – the perfect chance to sample the life on board since you are going to spend so much time at sea. There are even more on board activities while ships relocate, featuring guest lecturers and top comedians and numerous specially themed activities and games to entertain guests. And the repositioning cruise ships are almost always not crowded. Too much time aboard the ship instead of visiting different ports of call. Embarking/Disembarking are not in the same port. It increases the expenses as to additional flight fares added to your price. Spending a lot of time aboard the ship might tempt you to have “more money”, leading to increased expenses for bar drinks and gambling. The duration of relocation cruises sometime is up to 18 days and many people can not afford so much time off from their job. Still, whoever is blessed with enough free time and an adventurous spirit may enjoy each year at least one repositioning cruise. Always the most exciting itineraries to and from the world’s top vacation destinations on board the world’s most fun floating resorts enjoying all their amenities and activities – longer, cheaper, always fun! So go get it! Always safe and happy sailings, and best of luck with the prices!